The last several days have once again seen the spotlight placed squarely on the interesting mix of Québec language laws and national/international chains from outside Québec which operate in Québec. [Just as a tid-bit of general info… my own company is immune to this because I chose a name which can be both a French and English name, considering that I operate across Canada, including in numerous Francophone regions. So I am not very sympathetic to companies which open themselves to public criticism by not adopting a French moniker of some sort]. 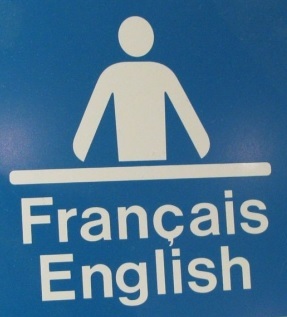 According to the law, signage and store operations are to be in French in Québec. But what happens if your company’s name, outside Québec, is generally derived from an English name, and yet you wish to operate in Québec? The laws state that your operations (and signage) need to be in French, but the laws do not “specifically” state that you have to change your company name if it is already styled in English. What does this mean in practical terms? It means that some companies nonetheless have voluntarily opted to change their names into French as a gesture of respect to their customer base (such as I did with my company), despite there being no legal requirements to do so. Sometimes a small gesture such as this can go a long way in the minds of consumers and the public. Sleep Country has changed its name to Dormez-vous! Yet there are a good number of other companies which have not changed their names, or which still have a very “English” sound to them. The government took them to court several years ago, with the desire of forcing them to either change their names, or to add a French phrase to their name. The Québec government finally lost its appeal case a few days ago, owing to the laws in this matter not being specific enough. The Québec (Liberal) government is now considering introducing new legislation to compel companies to change their names to have a more French-sounding name, or to at least add a French phrase to its name. Walmart could become Les magasins Walmart. One portion believes this is a completely unnecessary move. Another portion views these matters with indifference. A more nationalist third portion is rejoicing at the government’s possible move to compel stores to change their names through newly introduced legislation. Traditionally, Liberal Québec governments of the last 15 years have felt such a move would be unnecessary. I personally believe that the majority of the population is somewhere between feeling such moves are unnecessary and mild support such legislation. But with recent possible changes in the wind of a possible re-centering of the PQ under Pierre Karl Péladeau’s leadership (which could steal a number of Liberal supporters), the Liberal government seems to be poised to try to woo more nationalistic camps of the electorate to the Liberal side, and may introduce firmer language legislation to maintain a certain level of popular support. Premier Couillard is already musing that he is looking at his legislative options. I was recently in a Walmart in Markham, Ontario’s Markville mall, a suburban city of over 300,000 on the outskirts of Toronto. The origin of Markham’s population is 60% from mainland China (Markham and the surrounding area is sort of Canada’s equivalent to California’s San-Gab Valley, the new beefed-up, super-sized 626 of the North – or Richmond’s big brother in the East). 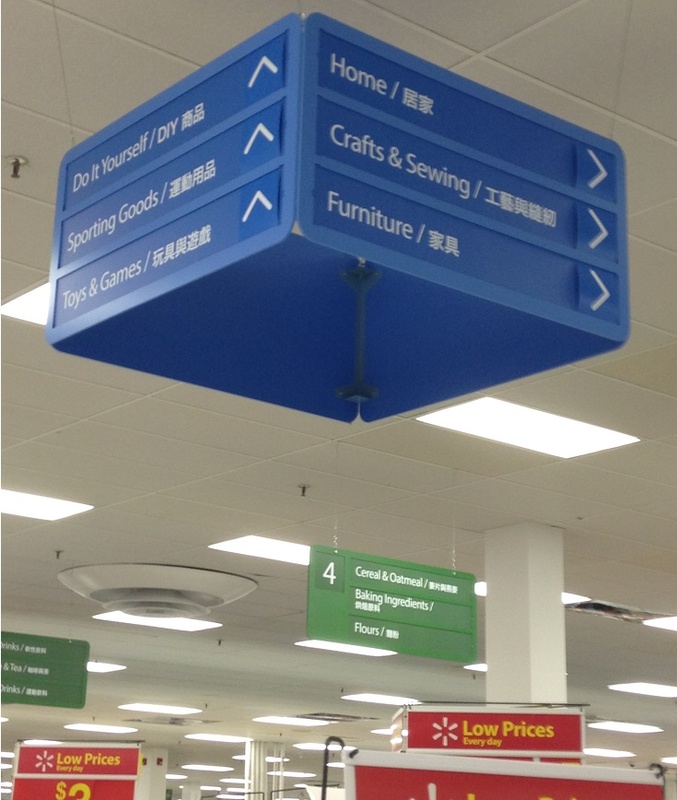 It was the first time I had ever seen a fully bilingual Chinese-English Walmart in Canada (although you did have the option to pay in French or English) — Photos below from Marham, Ontario. A number of years ago there was a move afoot by the Francophone association ACFO to “request” big box stores in Francophone regions of Ontario to provide their service and signage in French. 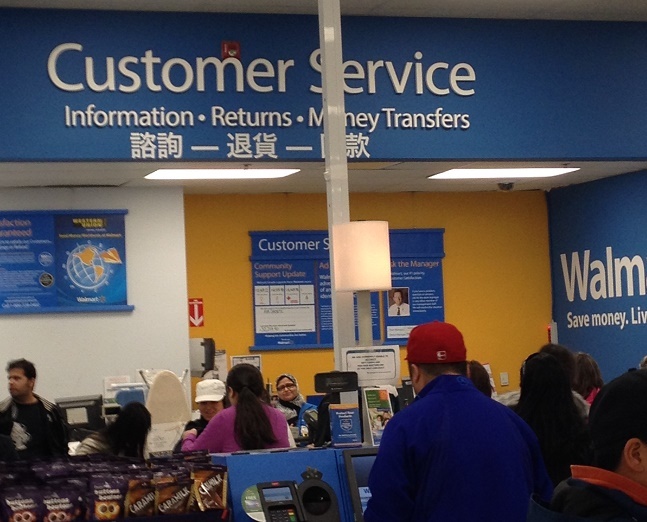 Considering that Walmart is now voluntarily shifting to Chinese-English operations in the Toronto area (I heard a good number of employees speaking Chinese among themselves, to the customers, and at the cash registers), I was very curious if Walmart had also voluntarily made the move to provide French-English services in heavier Francophone regions of Ontario. Out of pure curiosity (and for the purpose of this post), I phoned Wal-Mart in Sudbury, Ontario – a region with a 30% Francophone population which is a three hour drive North of Toronto. 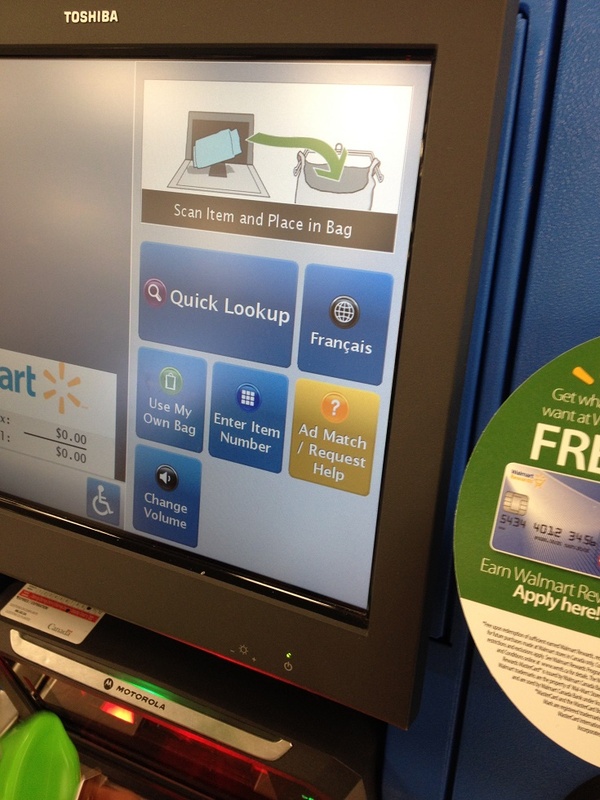 When I dialed the number, the Sudbury Walmart’s phone directory recording was bilingual French/English. I pressed 2 for French and was connected to the customer service counter. A lady answered in French. In French, I said I had a bet with a Friend their their signage was in French, whereas my friend said it is not. She laughed and said (in French) “Of course, all of our Walmart signs in Sudbury are now bilingual and in French”. Like I said earlier… gestures can go a long way. So despite the name-game going on in Québec (where Walmart has fought in the courts to not have to change its name), perhaps Walmart, as a company, still deserves a pat on the back (credit where credit is due). By Quebec Culture Blog 101 in Uncategorized on May 1, 2015 .